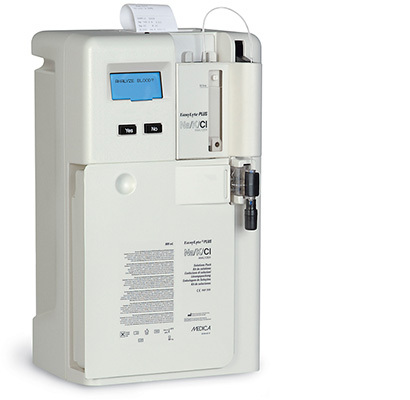 Medica Corporation’s EasyLyte® analyzer is a completely automated, microprocessor-controlled electrolyte system that uses ISE (Ion Selective Electrode) technology to make electrolyte measurements. The EasyLyte product line measures combinations of Na+, K+, Cl–, Li+, Ca++, and pH in whole blood, serum, plasma, or urine. EasyLyte incorporates state-of-the-art electronics and an innovative ergonomic design that differentiates it significantly from competitors. The analyzer also stores quality-control data that is easily accessible. Patient histories are immediately retrievable for evaluation. EasyLyte analyzers combine simple yes/no prompted operation, low maintenance, and high reliability into one economical design. Over 40,000 EasyLyte analyzers have been sold.